Our DMV Test Cheats include everything that you need to pass your permit test, driver's license exam, motorcycle exam, or commercial driver's license (CDL) test. If you're in the process of getting your learner's permit or driver's license, or you're turning 18 and are considering a career as a professional commercial driver, stop worrying about your test - and start "cheating" today! 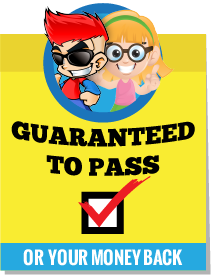 With our DMV test cheats, you can relax knowing that you'll pass on your first try, with ease. We offer DMV Test Cheat Sheetsfor all 50 states, and have versions for auto, motorcycle, and commercial licenses. Whatever type of license you're interested in, regardless of which state you live in, we can help! Passing your learner's permit test or driver's license exam can be tough, even if you take practice tests and study often. With our DMV test cheats, however, passing your test will be downright easy. Our cheat sheets are easy-to-use, simple, comprehensive reference guides that you can look at while preparing for your test. If you get stuck on a certain question, or are debating between more than one answer, you can reference our cheat sheet and get the information that you're looking for. Once you purchase one of our DMV Test Cheat Sheets, you will be given password information that you can use to login to our website. Once you're logged in, you'll be able to access the cheat sheet of your choice and open it as a PDF document. Using this format, we can ensure that it will work on all smartphone and tablet devices. Simply bring a smartphone or network-enabled tablet with you during your test, and the answers that you're looking for are never more than a quick glance away. Why risk not passing? If you use our DMV test cheats, we are confident that you'll pass your written test. What more do you need to hear? Are you 15 and trying for your learner's permit? 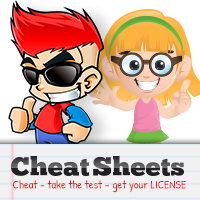 Our DMV test cheats can help! Riding a motorcycle is much different than driving a car. Use our DMV test cheats and pass with ease. Did you know that you can get an in-state commercial license at age 18? Start your career today. 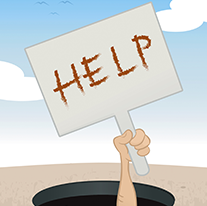 Contact our customer support team today or ask us on Facebook!